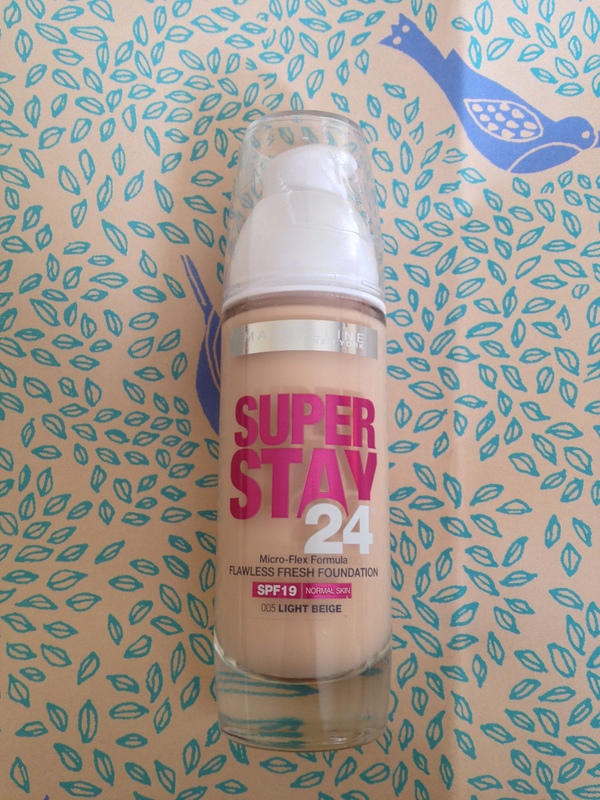 Browsing through asda the other day I spotted Maybelline’s Super Stay 24 foundation. The long lasting hint made me want it instantly as I am always looking for a drugstore, oil free and long lasting foundation that will look good on my oily and spot prone skin.The packaging is nice and professional like with a glass bottle and a pump so its pretty hygienic and nice looking on my makeup stand. The foundation promises “Flawless fresh foundation” with an SPF of 19. I found that number to be weird actually, 19? Shouldn’t they just round it off to 20? When I pumped some product onto my hand, I was surprised to see it was really liquidy and wet, and actually really hard to blend! I used my Real Techniques Expert Face Brush to try and blend it into my skin but it took a lot of effort to get it streak free and not blotchy. 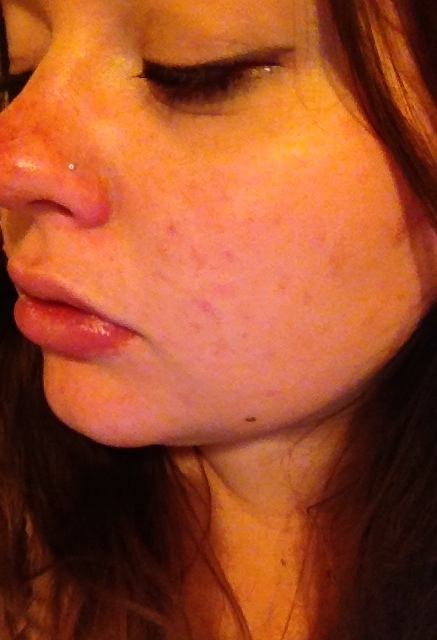 I also found that the foundation stuck to and sank into my pores and lines, even after powdering. 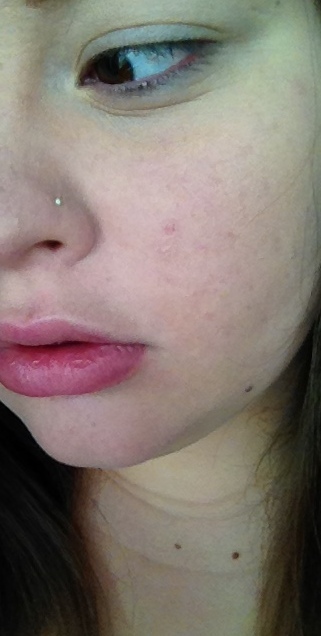 The foundation left me looking a little blotchy (The camera doesn’t really show the blotches) and sticky. It was a really wet and hard to work with foundation. I would agree that it is full coverage but it is just not easy to blend! After 7 hours I was disappointed to find that the foundation was disappearing and my blemishes, redness and marks were starting to show. It didn’t last the 24 hour promise even after powdering and setting. I am pretty disappointed with this foundation, though perhaps it would be better for dryer skin and less blemishes to cover. How did you guys find it? Were you as disappointed as me or did it work for you? Let me know!